Posing To Perfection: All About Perfect Onstage Presentation. The ability to present ones physique to perfection onstage could be seen as one of the keys to competitive bodybuilding success. Indeed, posing ability is something many bodybuilders seem to have neglected in their pursuit of glory. It has been rightly argued though, that a well crafted posing routine, and an excellent command of the compulsory poses will express to the judges that an athlete is confident and in control, that they are ready to win and have taken the effort to display their physique to its best possible advantage. In addition, posing the body well will essentially give the judges what they are looking for: perfect presentation of the body parts under scrutiny. Symmetry, muscularity, aesthetics and proportion are all assessed during the judging process, with points gained for superiority in each category. If any of these qualities are obscured by poor posing points cannot be given and the athlete could lose based on their posing ability, or lack of. It therefore makes sense to perfect ones posing if winning is the aim. Most of the great bodybuilding champions of the past were masters of posing. To separate themselves from the competition they would rely not only on their phenomenal physiques but also their ability to choose a posing style that suited their body type. The great Arnold had a style all of his own; one that people spectacularly fail to replicate today. He knew exactly how to display his good points while minimizing his weaknesses. In fact, most of the past Mr. Olympia's, although probably not posing specialists, were known for their excellence in executing the compulsories and for routines that brought the house down. Today's champions are no different, and posing remains an essential tool for winning the judges, and the audience over. 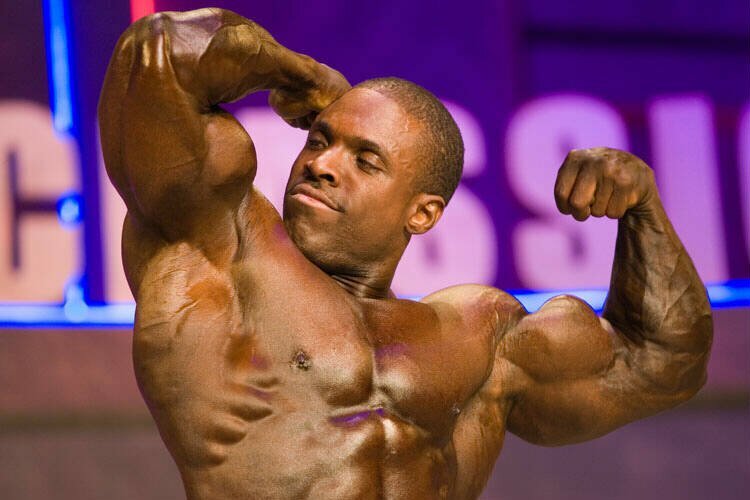 It could be argued that all pro bodybuilders are good posers, and indeed they are. However, a few really stand out. Let us take a look at some of these posing specialists. Why separates them from the average pro? What can you learn from these champions? Arnold was a master at creating an impact with his solid posing coupled with dramatic transitions between poses. He would create just the right amount of tension throughout the transition before stunning the audience with a perfect shot, which would display his physique to its best possible advantage - Arnold knew exactly how to tailor each pose to accentuate his strong points, his front double bicep shot emphasising his stronger right bicep being a case in point. Arnold Schwarzenegger: Tribute To A Champion. In addition, the charisma Arnold displayed, and the confidence he projected told the judges he was the man to beat. Any weaknesses he might have had may have been overlooked due to his winning attitude. Powerful music and dramatic posing, in addition to his perfect command of the compulsories makes Arnold one of the best posers of all time. One athlete even Arnold looked up to for his posing ability was Ed Corney. 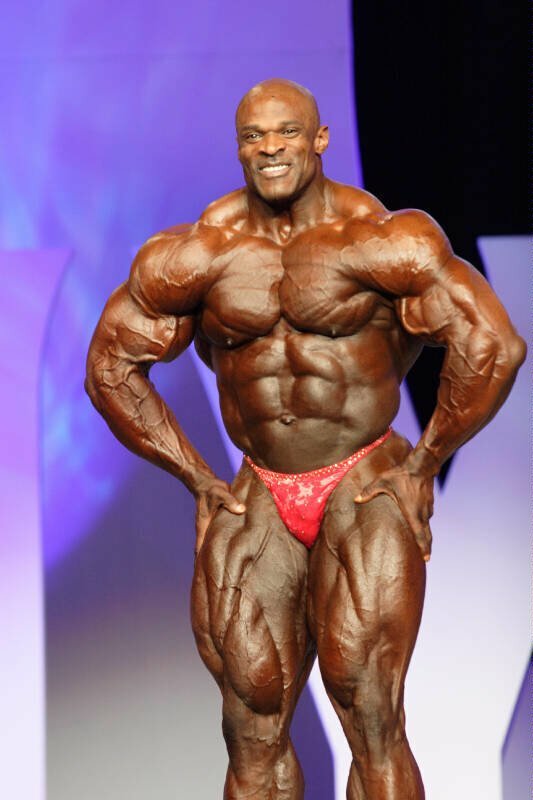 Ed revolutionized posing at a time where very few bodybuilders put much emphasis into their onstage presentation, a time where athletes were still learning many of the fundamentals of physical display. Ed came along and changed everything with his amazing ability to project the body as a living, breathing work of art. Ed believed in posing after training, and would hold each pose for a count of three, believing this would bring out greater separation and improve overall posing ability. Onstage this approach would seem to have worked for him, as he seemingly would tense every muscle in his body while maintaining a high degree of fluidity between poses, before hitting the perfect shot. A man whose physique was often described as Mass with Class, Lee Labrada's posing could be likened to poetry in motion. When Lee posed he gave as good an artistic display of the body as any. Lee liked variety and would present a different posing theme on a regular basis, mixing it up with slow, dramatic movement interspersed with powerful, lightening fast transitions leading to flawless presentation of the compulsories, and poses that were uniquely his. Lee Labrada is a legend in the sport of bodybuilding. In his competition years, Lee presented a symmetrical, aesthetic physique that won nearly every top title in professional bodybuilding except the coveted Mr. Olympia. Like Arnold, Lee was a master of projecting a confident, winning attitude. His contrast of posing styles - slow, fast and anything in between - gave him a style that was exclusively his. View Top Selling Labrada Nutrition Products Here. Arguably the best poser of the '90s bodybuilding era, Vince Taylor, who is now making his comeback, again revolutionized posing by providing entertainment value that had never before been witnessed. Vince incorporated robotic movements and dance with more traditional posing to produce a spectacle that included something for every fan. Graceful was a word often used to describe Vince's posing as he would effortlessly glide from one pose to the next, while hitting all the shots to perfection. Another who could change his style to suit the theme he wanted to present at the time, Vince's posing repertoire was very full indeed. His Terminator routine brought the house down every time and remains one of the most spectacular posing displays in the history of the sport. Often regarded as the best of the modern day posers, Darrem Charles has a style that is at once powerful and smooth flowing. Always producing something cutting edge and new, Darrem's routines never fail to amaze the crowds with their uniqueness and sophistication. A Conversation With IFBB Pro Darrem Charles. Like all the champions mentioned above, Darrem seems to prefer poses that accentuate his strengths, while focusing on the transitions between poses to maintain the all-important continuity of flow. 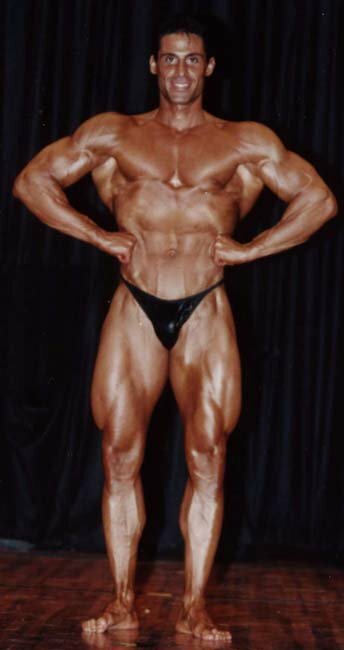 One non-pro who could be considered a great poser is natural bodybuilding champion Tony Catanzaro. Tony is known for bringing enthusiasm and energy to the stage to compliment his routines, which are always dramatic and awe inspiring. 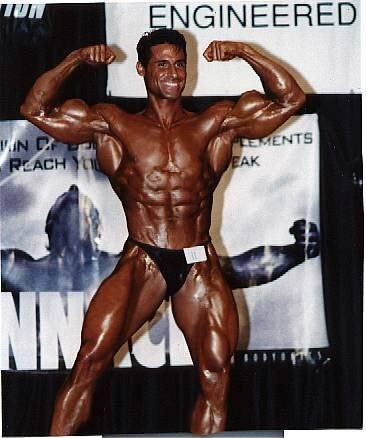 The man himself says that his posing ability, and confident manner, has helped to place him in the winner's circle on more than few occasions - he has an impressive competitive record, which includes wins at the 2005 INBF Natural NYC Championships and the 2002 New York State Bodybuilding Championships. As Tony says, having a great physique is irrelevant if you cannot display it properly - the judges want to see the body from all angles and they cannot judge what they do not see. Thus, Tony always places great importance on refining his poses and displaying his physique onstage in its best possible light. Here he lets us in on all his posing secrets. Tony Let's Us In On His Posing Secrets! [ Q ] Just how important is posing as far a presenting a winning package onstage goes? "I'm not ready to win. Just give me 3rd, 4th, or 5th place." You have to display yourself correctly if want to win. Confidence: Achieve It And Realize Your Potential. The following interview is compulsory reading for those who would like to improve their confidence levels and those who are sufficiently confident but would like to gain that all important edge. Learn more about it right here! [ Q ] What attributes does a good poser need, in your view Tony? Besides confidence, a good poser is a stickler for detail. He or she doesn't just pose in the mirror and think, "ok this is good". He or she will look at every muscle in detail to make sure everything is at its peak performance. Obviously, your diet and training will get you there, but your presentation is everything. [ Q ] What mistakes are commonly made when it comes to perfecting the pose? There are so many competitors out there that make this huge mistake: when a judge calls out a certain pose - let's say double bicep - a competitor will hit the pose and think double bicep, while at the same time forgetting to keep everything tight like your abs, legs and lats. Remember, the judges can see everything and they are looking at everything. Even if the pose is a double bicep, the judges just might admire your v-taper in this pose, and not even concentrate on your biceps. It's like this: always pose the body, not the body part. Pose The Body, Not The Body Part. [ Q ] When wanting to hit the compulsory poses just right, what are some important points to remember? Of course flex everything and remember to look confident. I remember my first bodybuilding show. I was nervous because I had never posed before onstage, but I knew in my heart with every pose I hit, I would grab the attention of the judges and by me thinking this, it became true. The mind is very powerful! These poses are also included in a bodybuilder's routine. These photos of Tony, where he is demonstrating excellent form, can be used as a guide for those wanting to hit the compulsories to perfection. [ Q ] Choreographing a routine is often one of the harder bodybuilding tasks to master. How do you design your routines? This is actually the best part for me because of my dancing and stage presence skills. I would pick a song that best suits my personality and the feeling I want to send out to the audience. Then I would actually just wing it. If you create a set posing routine on stage, it's going to look artificial. It's okay to know what poses you will hit after one another, but don't stress out on it - go out there and have fun. Listen to your music playing and pose with the song, otherwise it's going to be boring. The free posing round is where the athlete completes their posing routine set to music (usually in the space of 90 seconds). This routine is usually choreographed (not in Tony's case though! ), and will include all the compulsory poses in addition to poses of the athletes choosing. The Best Posing Videos, Pictures, And Music On The Forum! Many of the members have done contests and done very well in them. Here is a section devoted to their hard work. It includes video & pictures of them posing, and music. [ Q ] What elements should comprise a good posing routine? Choose music that suits your personality. I use stuff from Rocky films and superhero type stuff - this seems best for me. If I were to come out to rap music it would not fit my personality. Although I like rap music, it doesn't fit my body language. Try to choose music that fits your look and personality. Choose Music That Fits Your Personality. Another important element is your tan. Make sure your tan is even, and you have even amounts of posing oil on. I use dream tan so I don't need oil (it is contained inside the cream). However, Tina would give me a light mist of Pam just before I go out there. Yes the stuff you cook your eggs with, just don't use the butter flavor or you'll smell like a butterball turkey. Dream Tan... the simple alternative to applying liquid tanning dyes! All of the color - none of the mess. 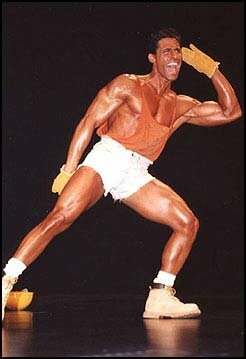 [ Q ] What is the funniest posing routine you have ever seen? I remember one guy at a show came out to the song Dancing Queen. I almost peed in my pants. [ Q ] Do you have any amusing stories about your own posing experiences? I used to do fitness competitions when I first started. So I used to come out wearing everything from army gear to black leather outfits, I always became the character. This holds true even if you're not in a costume. Become the character, and always remember you're on stage so that means you are performing. People aren't going to be impressed if you come out and just pose; you have to win over the crowd. I use to scream out to the crowd with my hand behind my ear like Hulk Hogan, then run to the other end of the stage and do it again. This would really get the crowd going, and from that point on the energy is there. [ Q ] In addition to onstage presentation, why is posing beneficial? It's like owning a beautiful car - let's say a Lamborghini - then driving it through mud to cover all of its beauty, and then entering it into a car show. Understand what I'm saying? Just because you think your body is like a Lamborghini, you are in great shape, you're flawless, your tan is perfect. This means nothing if you don't display it properly. [ Q ] What beneficial effect does it have on the muscle when someone holds a pose? I get this question all the time. Posing is the best, and I mean the best thing you can do for your muscles. When you pose, you are sending blood into the muscle, and this blood carries oxygen and nutrients that burst into the muscle, causing it to swell up. I am so pumped up after I get off the stage from posing it is remarkable. 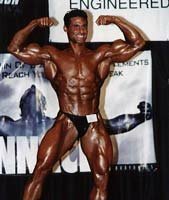 [ Q ] How important is this winning attitude to bodybuilding, and posing success? You always have to know that you are making gains. The biggest mistake you can make is to put your progress on hold and just say I'm not going to hit my legs hard today, or I don't feel like squatting today. You have to understand that you must keep track of your progress and make sure you're moving ahead, not standing still or declining. Think of it as business. A storeowner will check his or her books at the end of the day or month to compare them to last year's earnings and the same holds true for bodybuilding. Always check your progress with body fat measurements and tape measurements. Don't be concerned with what the scale says: muscle weighs a lot more than fat. I take a photo of myself in the same spot periodically to see for myself, this works very well. The same thing applies to posing - always try to progress. [ Q ] You have discussed the importance of a winning attitude. How can someone display this onstage? Know in your heart that you can win and be confident in your posing. 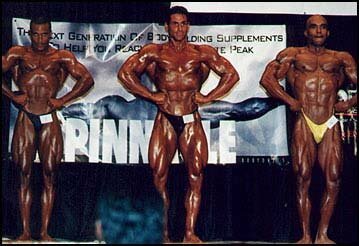 Think of it like this: when the judge calls out a pose and you are standing next to your competitors, you can't see how big or small you may look. So you are working on pure confidence, the competitor next to you feels the same way, so if everyone is in perfect shape, the competitor that displays himself the best and is the most confident in his posing will score very high in the show. 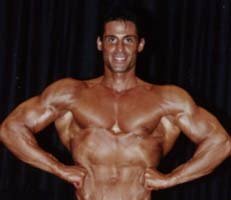 [ Q ] In your opinion, who among today's bodybuilders could be classed as great posers? What exactly do they do right? There are so many guys out there that are great posers. So it's hard to say, but what they all do right if they remember to always look confident on stage and put on a show for the audience. Remember, the audience always wants to see a show. They are not there to sit down and examine every inch of you like the judges; they are there because they are bodybuilding fans, or they are cheering on a competitor or two. Just the same, they want to be entertained. I come out with the attitude of getting ready for the main event! I want to entertain them and get them going. It is an unbelievable feeling when you have hundreds of people cheering for you. This would not happen if you come out with a look of horror on your face. [ Q ] What do you like about your own posing (both compulsories and routine)? I smile a lot when I pose - both during compulsories and with my routine. I always believe a smile is the best way to give off good energy. Many guys are so serious that they forget to smile. For me, smiling when I pose has helped me win numerous times. [ Q ] Can you give five tips on how to become a better poser? Confidence: like Arnold said if you don't have it, don't' hit it! Practice: the more you pose the better you'll become. Visualization: see yourself posing perfectly and you will. Smile: a smile and show of confidence can miraculously improve your score. Awareness: being aware of your body and that you are flexing everything all the time is crucial. Writers note: Use the following guidelines to improve your posing, and onstage presentation. 1. Pick A Posing Style That Suits Your Physique. To impress with your posing skills, do not simply go through your routine in the usual manner, hitting pose after pose with little thought given to the way these poses are executed. Instead, really make an impact by choosing a style that compliments the type of physique you have and the kind of statement you want to make. If you are an upbeat person, like Tony, getting the crowd onside and involved might work well, and fast dynamic posing could be the ticket. 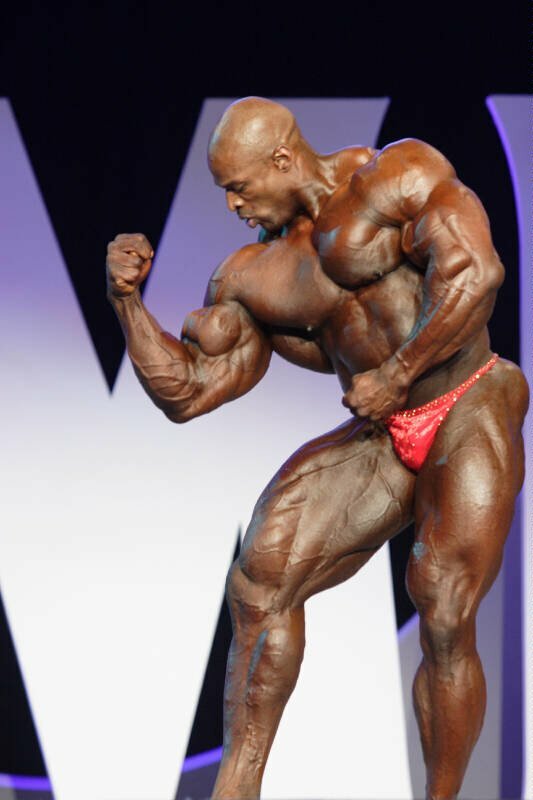 Someone more massive, like Ronnie Coleman, could use slower music and hit the poses hard after creating the right amount of tension throughout the transition. 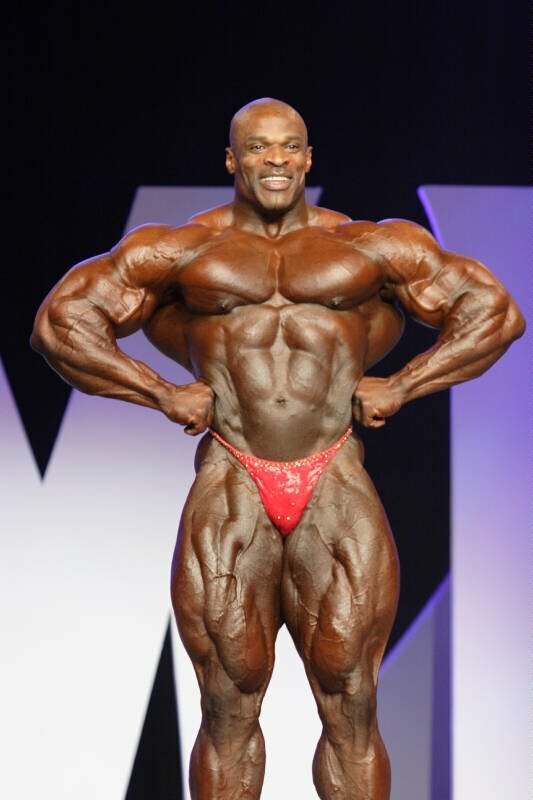 Ronnie Coleman @ The 2005 Olympia. For the smaller, more aesthetic competitor, like a Lee Labrada or Frank Zane, theatrical ability and graceful movement could come into play more often. The same holds true when picking the right poses to emphasise. Obviously, the stronger a body part, the more it should be emphasized. Competitors with more muscle will typically hit more most muscular shots, and others designed to make an impact more frequently, while smaller guys might choose poses like the front double biceps and front lat spread to show their balance and symmetry. Again, it is an individual thing and the competitor should choose what works for them. Experiment and ask for expert advice regarding what works and what doesn't. Most of the world's top bodybuilders make a point of practicing their posing, especially as the contest draws near. Practicing the compulsories (shown earlier) will not only help when it comes to maintaining these shots onstage under the bright lights (which is much harder than it sounds), but help to etch detail into the muscles, which will enhance definition come contest time. Also, as Tony mentioned, posing between sets or at the end of the workout will assist with muscle building in the sense that oxygen and nutrients will enter the muscle at a faster rate, and the muscle will take on a harder appearance - especially if the pose is held for at least the count of three (some pros hold them for up to one minute). It is also good to practice ones posing routine until it becomes second nature so when it is done onstage under the lights and with the usual competition nerves, it will look natural and free-flowing. In addition, when practicing posing remember to display a look of confidence, complete with a big smile. This look will then be more easily transferred to the stage where it will tell the judges you are ready to win. The judges and fans probably get tired of seeing the same old routines at each show. To separate yourself from the others, to make the right impact, design a routine that includes something different. Follow the example of greats like Vince Taylor and Lee Labrada, and display your physique in a way the captures the imagination. While not advocating the excessive use of props, or overdoing things with dance moves and robotic style posing, I would recommend using various sequences of poses in such a way that your posing style becomes uniquely yours. Borrow certain aspects from established competitors (providing they fit your physique and personality) and mix them with your own style. Should Props Be Allowed In Posing Routines? Yes, They Make Routines More Entertaining. No, The Emphasis Should Be On Just Posing. If one is flexible, use this to capture the judges attention by dropping into full splits midway through the routine. Begin a routine slow and progress to more powerful, aggressive posing. It has been said that good posing should be like a symphony in that faster movements should contrast with the slower ones, and the dynamics should constantly change to convey both rhythm and emotion. The idea is to continually explore new ways to present your physique - try something new each time and use strengths such as flexibility, athleticism and confidence to wow the judges. It is a given that the more confident a competitor is, the greater their chances of success. When posing, smile at appropriate times, and change your facial expression to reflect the mood you want to portray at certain stages of contest. A look of determination is always good (one reminiscent of Gustavo Badell at this years San Francisco Pro is even better) to show the judges you mean business. Gustavo Badell @ The 2006 San Francisco Pro. The judges want to see you are serious about what you are doing so a bored, or disinterested expression may leave them thinking you are not worthy of the higher spots. 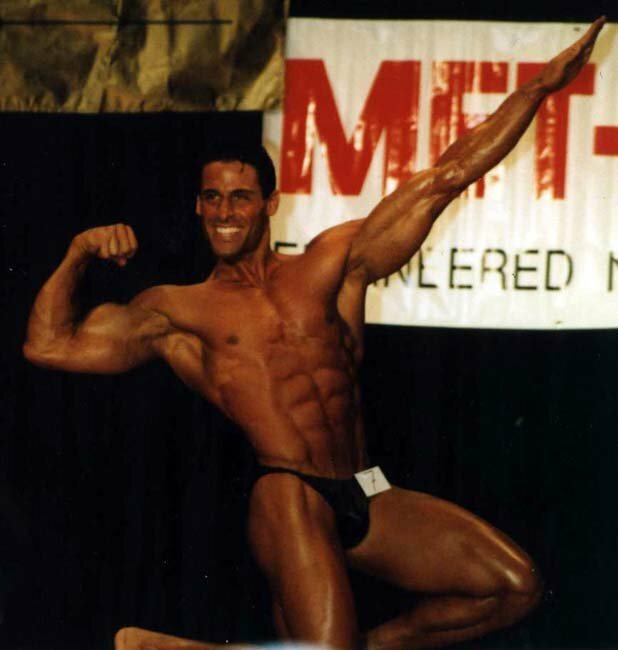 In both the compulsories and free-posing display, try to project enthusiasm to the crowd - Tony Catanzaro is a master at this and his popularity reflects this fact. The movements between poses (transitions) might be as important as the poses themselves, especially during free posing and also during the pre-judging (where the compulsories are done). Transitioning properly from one pose to the next will lend the performance a degree of flair and fluidity that would otherwise be lacking from a routine where the competitor simply hits shots with no thought given to the display in its entirety. Transitions can be smooth and graceful, or fast and dynamic, or a combination of both (the ideal when looking to capture the judges attention with a varied, and creative routine). Watch the great posers, especially Ed Corney - who was arguably the best ever in this department - to see how they make it seem so easy, then practice until you can perfect this essential posing element. 6. Accentuate Strengths & Minimize Weaknesses. As mentioned earlier, many of bodybuilding's greatest mastered the ability to pick poses that complimented their strengths and minimized their weaknesses. Have someone experienced to assess you to determine your strongest poses, or variations of, and use these to display your physique in its best light. There is no way you can really hide certain body parts onstage, especially during pre-judging, but particular groupings can be emphasized more. For example, during the front double biceps pose one could bring the elbows up higher to display more biceps and back if the shoulders are comparably weak. If the abs are weak, but the serratus and intercostals look sharp, the front abs and thighs pose can be done by twisting to the left and right so as to emphasize these stronger groupings. These little tricks can be applied to all muscle groups - find which ones work best for you and use them. 7. Pick The Right Music. Choosing the right music for the free posing round can make or break a routine. If it does not fit your individual body type or personality, music could effectively ruin a performance, so choose wisely. Champion posers of the past, Arnold Schwarzenegger and Ed Corney, often chose dramatic music like Exodus, or My Way, to compliment the powerfulness of their physiques and the attitude they brought to the stage. Those with exceptional athletic ability, like current star Melvin Anthony and comeback champ Vince Taylor might use more upbeat music to display their physiques in a different, more adventurous way. When picking music it is best to use a piece that will dictate the pace you will be posing at. If you tend to pose slowly because this suits you physique, use slower more dramatic music. Faster music can be used for those with a faster posing style. Also, it is best to use music that will not overpower, or detract from the performance itself, but will compliment it. Music that is too loud or badly pieced together will lessen the impact you want to make. Finally, ensure music length is sufficient to allow for your entire routine and practice to the music over and over so the right tempo is maintained throughout. No doubt about it, music is a powerful tool and one that should be taken advantage of. At the same time, music should be used judiciously for optimal performance. Many of the top champions designed their posing routines based on a particular theme they wanted to present at the time. Establishing a theme, such as Vince Taylor did with his Terminator routine or Lee Priest does with his superman performance, will add entertainment value to ones posing display. I'm not sure if any extra points are given for originality, but an entertaining routine showcasing an athlete's theatrical ability will certainly capture the imagination of the judges and the audience. Developing a theme will also help when planning the type of poses to be used and the suitability of the poses and posing style to ones physique. Do not turn your posing routine into a race to be finished as quickly as possible. Pick music that will allow for sufficient time to complete all the mandatories in addition to poses of your choice. Then design the routine to ensure enough time is given to proper execution of these poses, with the appropriate transitions structured in. 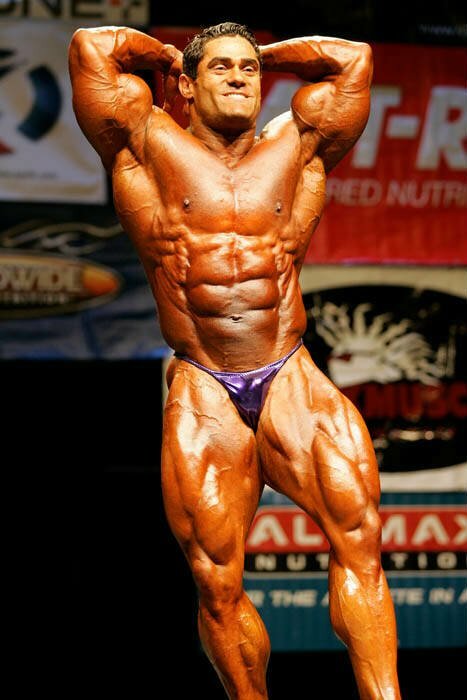 Nothing looks worse on a bodybuilding stage than a competitor rushing through his or her routine before quickly exiting. Use all the allocated time and give the judges a long hard look at what you have brought to the stage. Why Perfect Posing Presentation Is Important. It properly allows the judges to see exactly what they are expecting to see: the body parts under inspection in their entirety, not hidden by poor posing ability. Good posing will capture the judge's attention as it shows an athlete is prepared to do whatever is necessary to win. Attention to detail can mean the difference between winning and losing when it comes to posing. Posing done using the methods mentioned in this article will help one to design a routine that is entertaining and captivating. The judges and audience will appreciate this, and the athlete might be rewarded with a high placing. Posing that displays confidence and a determined mindset will tell the judges one is serious and ready to win. A good posing display will allow the athlete to showcase their strengths and downplay their weaknesses. This is essentially what competitive bodybuilding is all about: making an impact and being the best you can be for that fleeting moment onstage. The memories will last a lifetime. It's not just about having a sculped body. You need to know how to pose for the highest marks! These are the basic posing strategies that all competing bodybuilders need to know. The free videos below were done by Travis Chapman at Chapman Media Group for Bodybuilding.com. 2006 Master's World Champion Bob Cicherillo shows how to present a world class physique. All the mandatory poses in one place. Learn how to pose with the best of the best. No Bull! The eight mandatory poses. Note: No sound on these videos. Do's & Don'ts Of Posing - Part 1. The "Rules Of Thumb" that you should always keep in mind when in the middle of posing. Do's & Don'ts Of Posing - Part 2. More tips on presenting the best possible physique to the judges. The "One Minute Routine" makes transitioning from one pose to the next very important. Always remember to show the strengths and hide the weaknesses with easy, smooth transitions. The Five most important things to remember to put together a great posing routine. Videos produced by Travis Chapman of the Chapman Media Group.